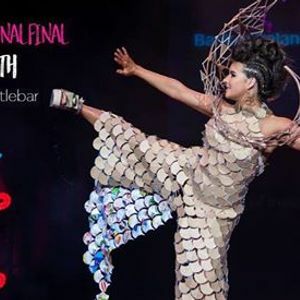 Bank of Ireland Junk Kouture 2019 West Regional Final is back! The national competition calls on all budding fashionistas to see if they have what it takes to be crowned Kings or Queens of the up cycled catwalk! 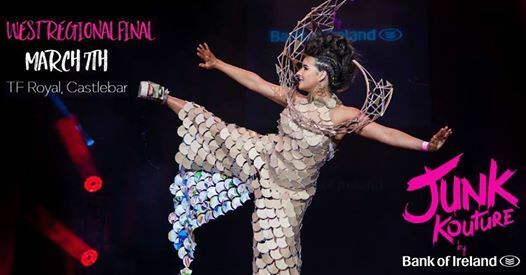 Hitting its ninth year running, the competition continues to encourage young designers in second level education to create striking couture designs and impressive works of wearable art from everyday junk that would normally make its way into the bin! Bank of Ireland Junk Kouture aims to inspire and ignite passion in these teenagers while at the same time subtly educating them about the importance of recycling and reusing waste. Having captivated thousands of students, teachers and audiences over the years, the West Regional final will be once again jam-packed with incredible talent, lots of energy and an unbelievable atmosphere! A night not to be missed!